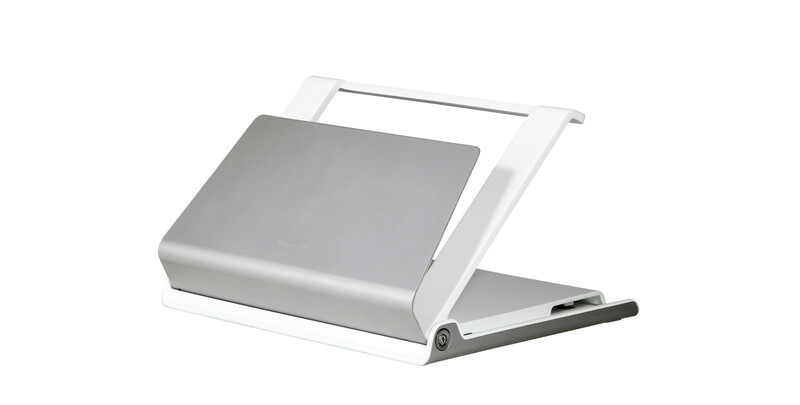 The Humanscale L6 Laptop Manager with 7.3" adjustment range. 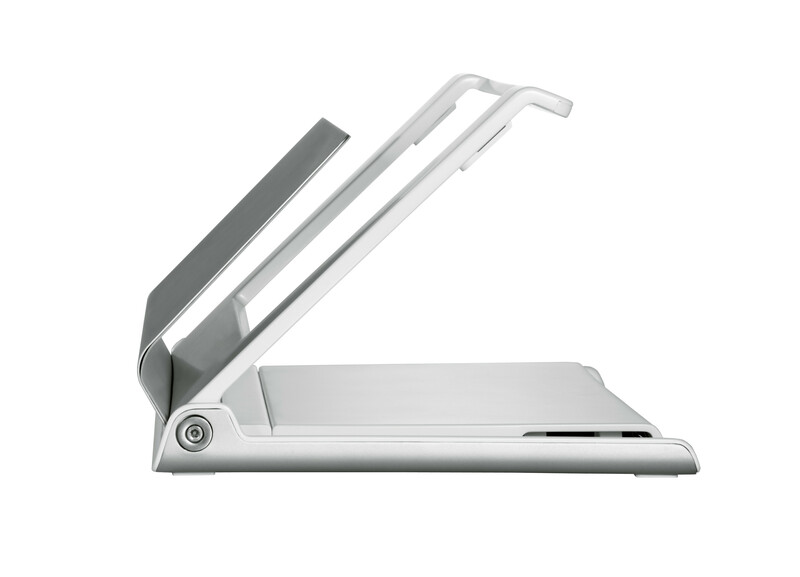 The Humanscale L6 Laptop Manager elevates the laptop to the correct height for ergonomic viewing of the laptop monitor. The 7.3" adjustment range allows for specific control of the laptop monitor position. Provides heat ventilation, cable management and swivel base to encourage collaboration.